Jason Isbell: A 'Southeastern' Songwriter's Path To Sobriety The country-rock musician's new solo album is deeply personal, drawing on issues like recovery from a battle with alcoholism that peaked during his time with the band Drive-By Truckers. 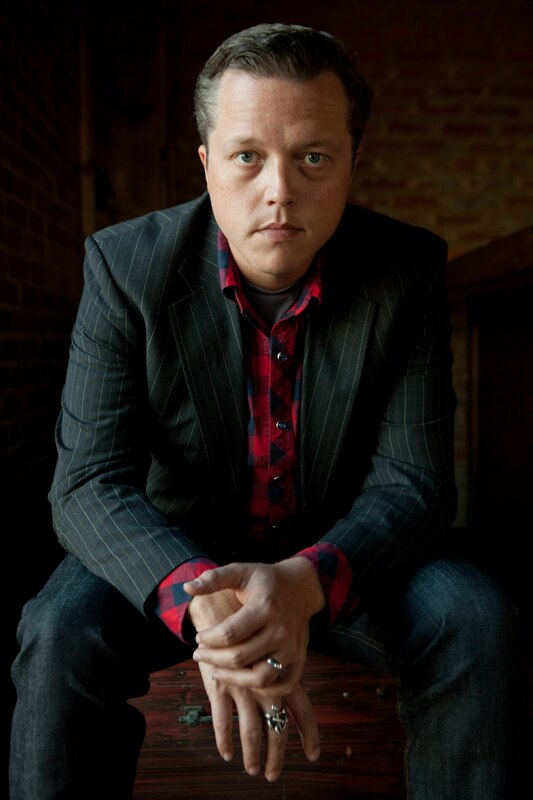 Jason Isbell's new album is called Southeastern. There are a few things worth knowing about singer-songwriter Jason Isbell: The round softness of his speech comes from his roots in rural Alabama. He has lyrics from a Bob Dylan song inked on his forearm. He got his musical start with the hard-charging alt-country and Southern-rock band Drive-By Truckers, and during those years, Isbell was drunk on stage — pretty much every time. "I had it timed where, by the very end of the show, I'd done just about all I could do standing up," he says. "I knew I needed two or three before I went on, and then during the show, we'd just pass a bottle around between the band." By the end of a show, Isbell figures he'd have drunk a fifth of Jack Daniels. He says his drinking brought him "close to the point of no return." But now, at 34, Isbell says he's sober and newly, giddily married to singer-songwriter and fiddler Amanda Shires. On his new solo album, Southeastern, Isbell digs deep, drawing on his personal relationships and experiences with sobriety. 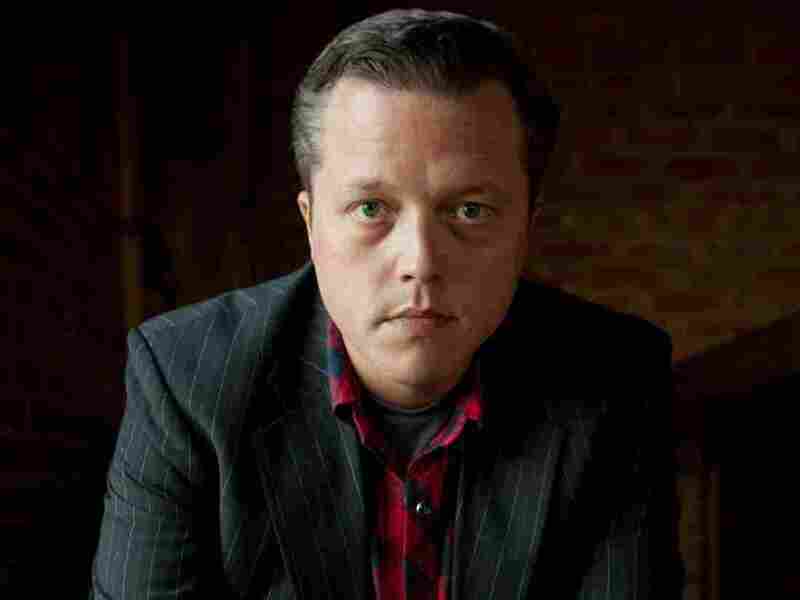 All Things Considered host Melissa Block visited with Jason Isbell at his home on the fringe of Nashville, with Shires sitting close by on the couch. They often finish each other's thoughts. According to the couple, when they're each writing songs, they have a deal: They'll separate — go into different rooms of the house — and force themselves to complete a song apiece. When they emerge, they'll play what they've come up with for each other. A few of the songs have even ended up on their respective albums. "Cover Me Up," the opening track on Southeastern, was one of those songs. "That was a hard one for me to even get through without breaking down the first time, because that one is really personal," Isbell says. "It's not easy to sit down and open yourself up and say, 'This is how much I love you,' you know? It's scary to do that." Isbell says Shires was integral to his recovery process. "I would usually drunkenly tell her that I needed to go to rehab," he says. "I only got to do that twice, I think. The second time she said ..."
" 'You're telling the wrong person,' " Shires finishes. "Yeah, that was it," Isbell says. "'You're telling the wrong person. If you say this again, then you're gonna be held to it.' And, sure enough, the plans were made. She called a few people that I respect." 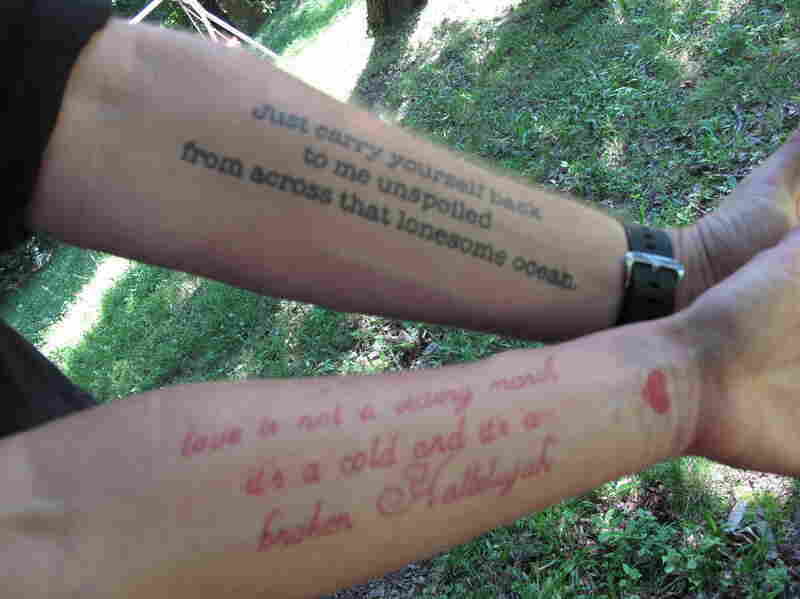 A match made in ink heaven: Jason Isbell has the lines from Bob Dylan's "Boots of Spanish Leather" on his arm, while his wife, singer-songwriter Amanda Shires, has lines from Leonard Cohen's "Hallelujah" on hers. Shires says it was no easy feat. The two had not been dating for long, and she had to call his family members and close friends — most of whom she didn't know. "I didn't care if he was mad at me," she says. "I didn't care if that meant that it was the end of our relationship. To me, it was, 'This person needs help.' "
Along with sobriety came a whole new set of concerns, which Isbell channeled into Southeastern. "Live Oak" begins with the lines, "There's a man who walks beside me / He is who I used to be / And I wonder if she sees him and confuses him with me." "I worried about what parts of me would go along with the bad parts, because it's not cut and dried," Isbell says. "It's not like you make the right decision, and everything's great, and you're a better person for it. You are, you know, at least 51 percent better. But there are some things that are lost forever, and that's just a fact of it." He says he was concerned about the impact his sobriety would have on all of his personal relationships. "I was thinking, 'Well, what do they like?' " Isbell says. " 'Do they like that guy? What combination of those two guys are gonna make those folks stay in my life?' Luckily, most of the people that I really cared about were there for me. And I think at the core, I still have the same values. I just actually behave according to those values now a lot more."